Latest Reuters poll finds another Clinton leads by 5% over Trump, but that lead is down from a peak this month of 12 points. 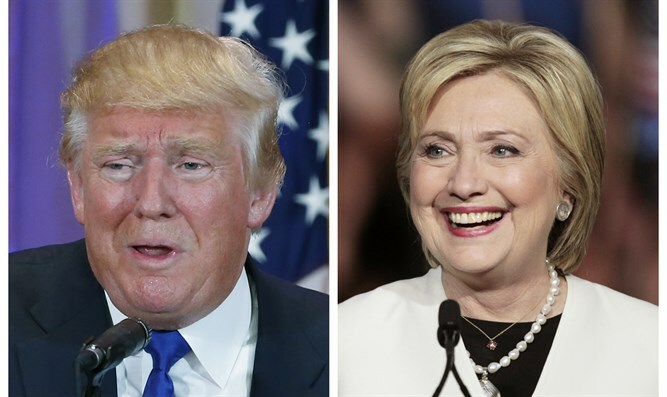 U.S. Democratic presidential candidate Hillary Clinton leads her Republican rival Donald Trump by 5 percentage points among likely voters, but that is down from a peak this month of 12 points, the Reuters/Ipsos daily tracking poll released on Friday found. The August 22-25 opinion poll found that 41 percent of likely voters supported Clinton ahead of the November 8 presidential election, while 36 percent supported Trump. Some 23 percent would not pick either candidate and answered "refused," "other" or "wouldn't vote." Clinton, a former secretary of state, has led real estate developer Trump in the poll since Democrats and Republicans ended their national conventions and formally nominated their presidential candidates in July. Her level of support has varied between 41 and 45 percent during that period, and her lead over Trump in the tracking poll peaked this month at 12 percentage points on Tuesday. Earlier this week, the Reuters/Ipsos States of the Nation project estimated that if the election were held now Clinton would have a 95 percent chance of winning by a margin of about 108 votes in the Electoral College. While there is still time left before the vote, key states are also being looked at. A poll released last week found that Clinton had opened up a 9-point lead over Trump in one of those key states, Florida. Despite the positive trend on the national level for the GOP contender, Trump has in recent weeks gained little ground in key battle ground states like Florida and Virginia that will make or break his presidential aspirations.